lost in a fire. Recently I was helping a friend with some research on her family history, and I thought it might be interesting to see if I could find some more information on Major Nathan S. Boynton, who founded and owned the Boynton Hotel on the beach and for whom the associated town is named. I first found Major Boynton on the 1860 census, living near Cincinnati, Ohio. He was 23 and listed his profession as “Physician.” I had heard he intended to study medicine after working in the grocery business (“mercantile”) for a few years. 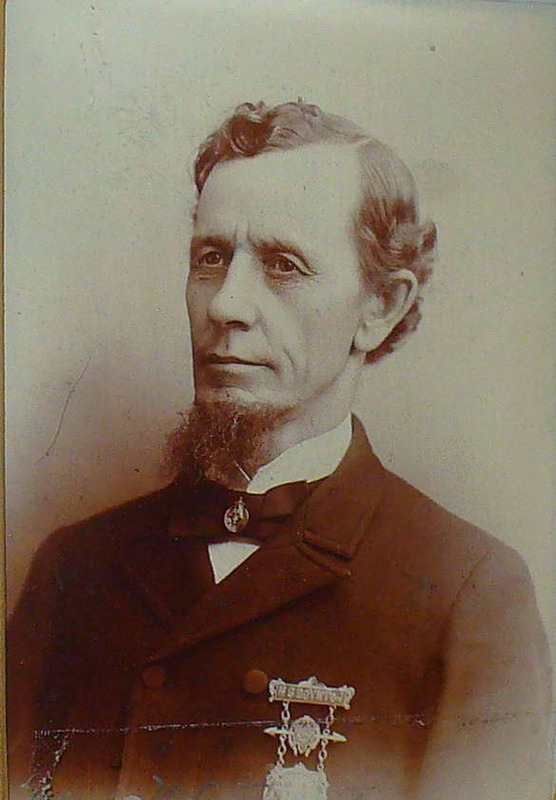 As the Civil War broke out, he returned to Michigan and enlisted in the cavalry. He rose in rank to Major, and mustered out in 1865 and relocated to Marine City, Michigan. In the meantime, he married and several children were born. On the 1870 census, he is listed as being an “editor”, with wife Annie in the household along with children Charles, Annie, George and Frances. He did indeed purchase the local paper and served as editor. I did not find an 1880 census record for the family, and as mentioned, the 1890 census is pretty much gone. It was the 1900 census that presented some interesting information. Census forms changed over the years; one of the changes was the requirement to list the place of birth of the parents of each of the persons in the census. And in Major Boynton’s line on the census, place of birth for his mother was listed as Spain. I knew that Major Boynton’s wife was from Germany, but I had never heard his mother was born in Spain. A bit of looking found a biography of Major Boynton and it listed his mother as being named Frances Rendt Boynton, daughter of “Old Captain Lewis Rendt.” In looking at Captain Rendt, his actual name was Johann Ludwig Rendt, and he was born in 1773 in Germany. He was a Hessian soldier who was in service of the British army. The British would “lease” entire battalions of Hessian soldiers to join their side in various conflicts; Captain Rendt had fought for the British in the war of 1812 against the United States. As part of his payment, he was granted land in the province of Ontario, very near the Michigan border. He married Joaquina Josephina Sophia Arliano from Cadiz, Spain and together they had eight children, born in Spain, Malta, and Canada. Among them was Frances Margaret Rendt, Major Boynton’s mother. She married Granville F. Boynton in Port Huron, Michigan. Granville died in 1845, and Frances remarried, to a Jonathan Graves. They had two sons together, who were half brothers to Major Boynton. In today’s terms, that would make Major Boynton “Hispanic,” although such a categorization was unknown at the time. Major Boynton’s father was of English heritage, so Major Boynton certainly illustrates the melting pot of America as people of all lands sought its shores. You just never know what the census may reveal.